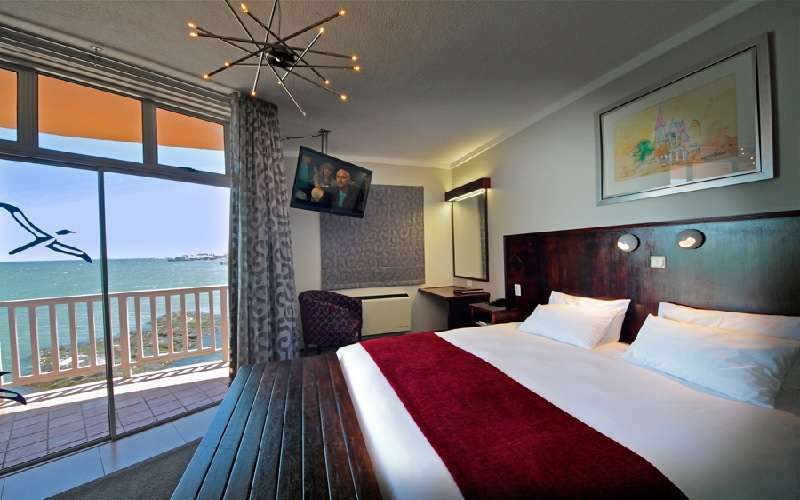 One of Namibia’s leading hotels, the award-winning Lüderitz Nest Hotel is situated on Lüderitz Bay and has its own private tidal beach with walk-on jetty. 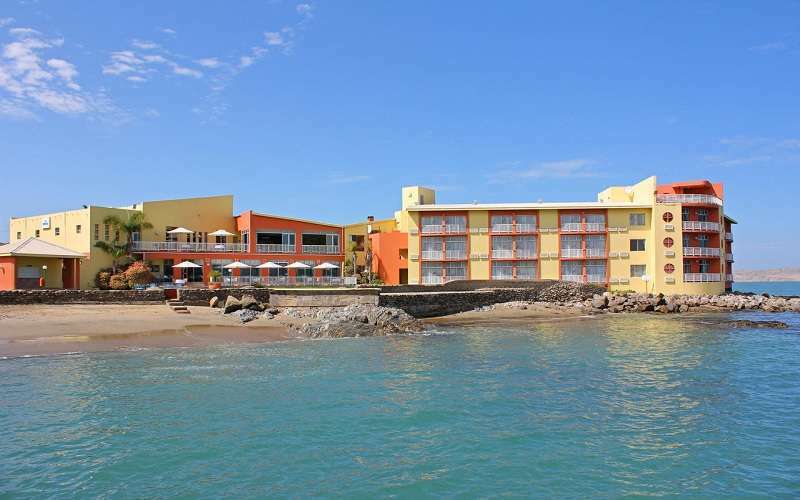 All 70 en-suite rooms and 3 elegant suites have stunning sea views. A wide range of dishes on the exciting menu of the popular Penguin Restaurant are served 7 days a week, which includes the speciality Lüderitz Lobster. For the best fresh oysters, sundowner cocktails, fine wines, pure Namibian beer and quality Cappuccinos, there is no better place than the upper deck Crayfish Bar & Lounge enjoy stunning sea and desert views. 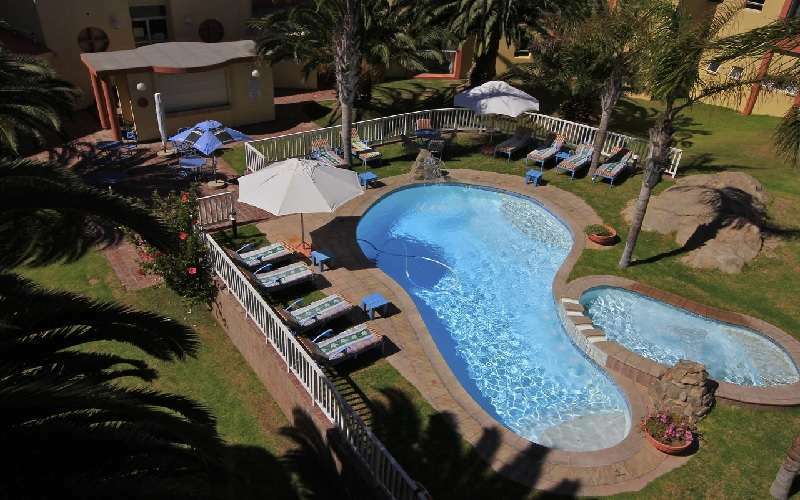 The hotel also offers secluded gardens, WiFi and a swimming pool. 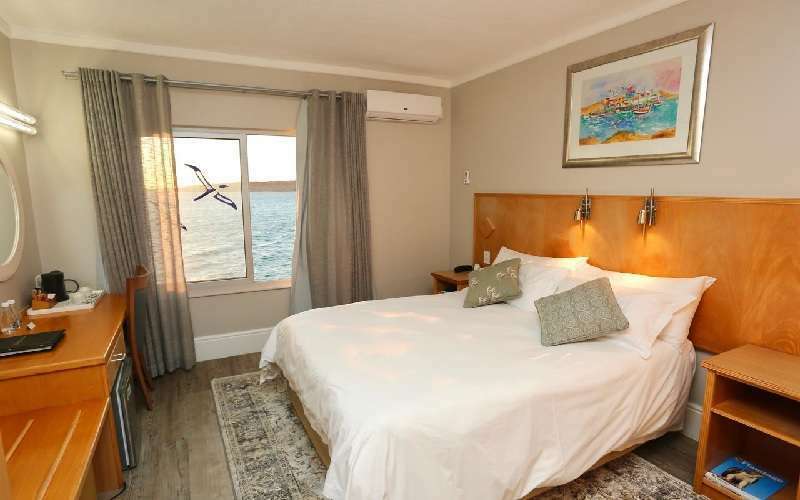 The Lüderitz Nest Hotel is the perfect oasis in the desert for total relaxation or to visit Kolmanskop Ghost Town and Catamaran marine tours for any special celebratory occasion. 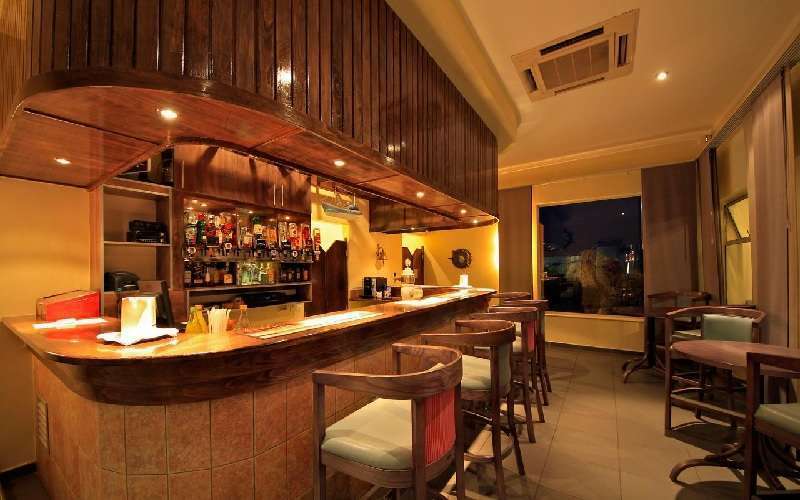 Friendly service and a warm atmosphere await you at this hotel! 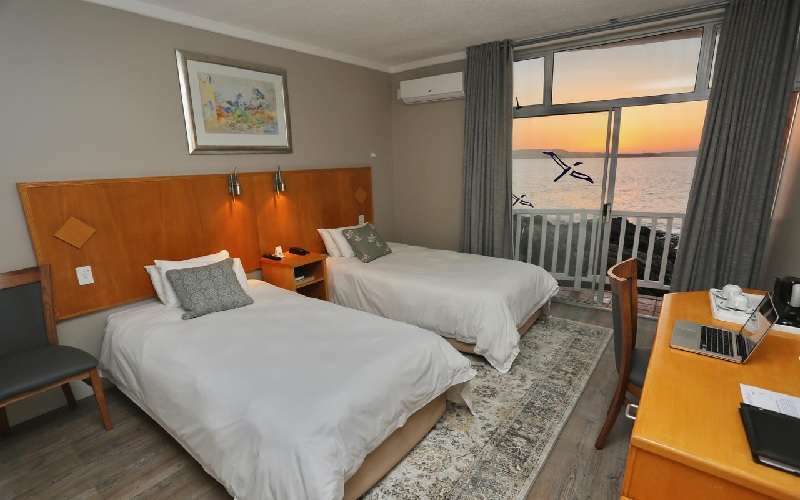 Lüderitz Nest Hotel has various room type available including Double Rooms, Family Rooms, Luxury Suites, Twin Rooms and Wheelchair friendly rooms. Enjoy exceptional views of the bay, the peninsula and massive desert dunes towards the north plus the iconic Felsenkirche. The restaurant boasts contemporary décor, large comfortable couches, tables, chairs and flat HG TV – all of this makes it the perfect restaurants to come visit to relax, enjoy and eat! 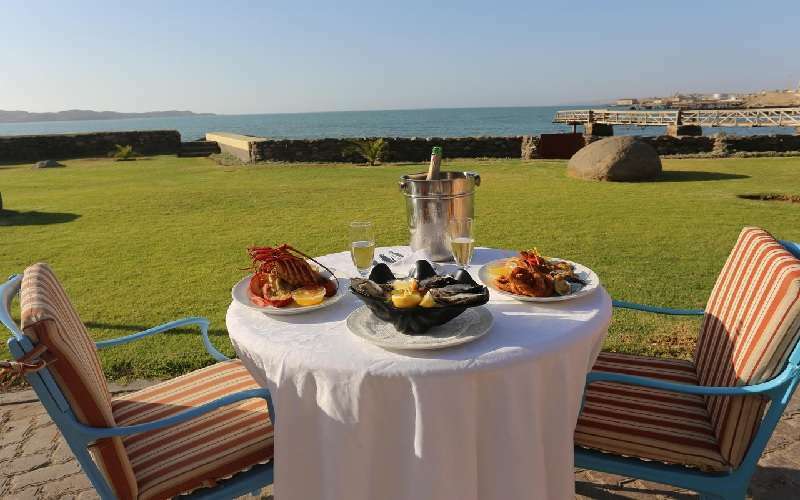 Those dining at the Crayfish Bar and Lounge get to enjoy the fresh patisseries, fresh Lüderitz oysters, fine SA Wines, Namibian beers and liqueurs, imported single malt whiskies, French Champagne and Cognac. A variety of menu items are available to be served. Free parking is available at the restaurant which is open 7 days per week. 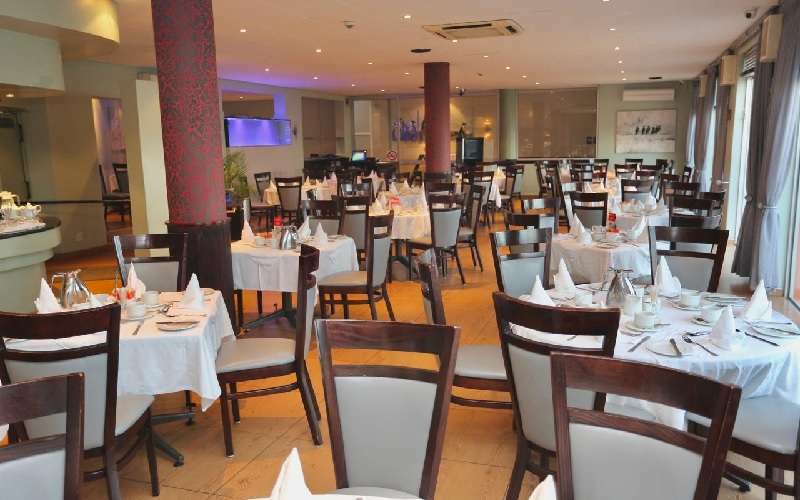 The locally acclaimed and well-known Penguin Restaurant offers an A La Carte and Buffet Menu which specialises in seafood, such as line fish, lobster, oysters and mussels. A wide selection of wines, including estate wines, imported wines and champagne is offered on our extensive Wine List. The restaurant is open daily for light meals, lunch and dinner. 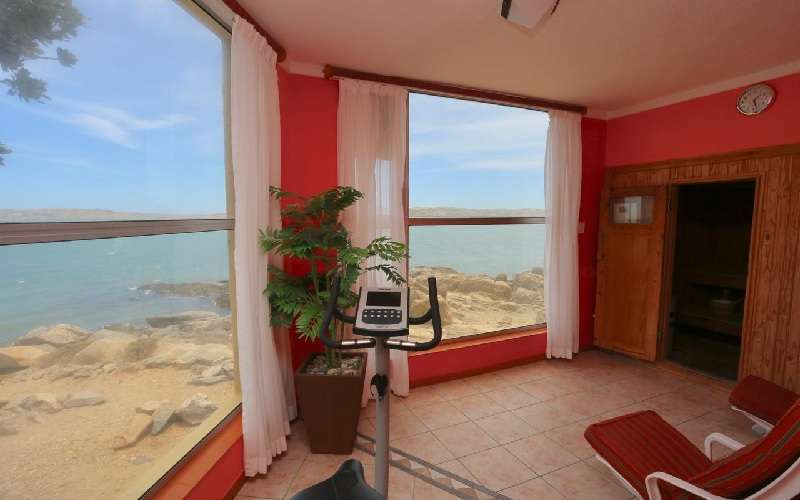 The Lüderitz Nest Hotel offers an excellent event and conference centre enjoying stunning views of Lüderitz Bay and the Atlantic Ocean. This is the perfect venue for corporate conferences, meetings, workshops, product launches, exhibitions, weddings etc. 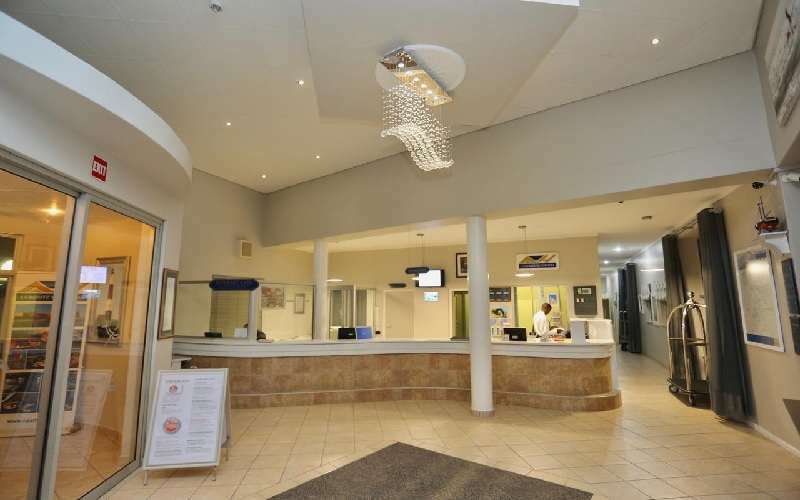 Delegates and guests can be accommodated in the Diamond or Sand Rose rooms in numbers ranging from 5 to 200, both of which have been totally renovated. 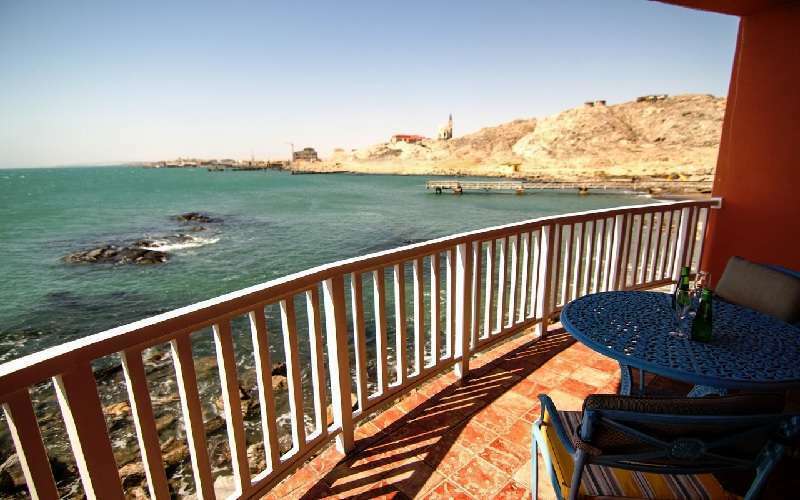 These rooms open onto the large upper terrace overlooking the hotel’s lawns, walk-on jetty, private tidal beach and Lüderitz Bay. 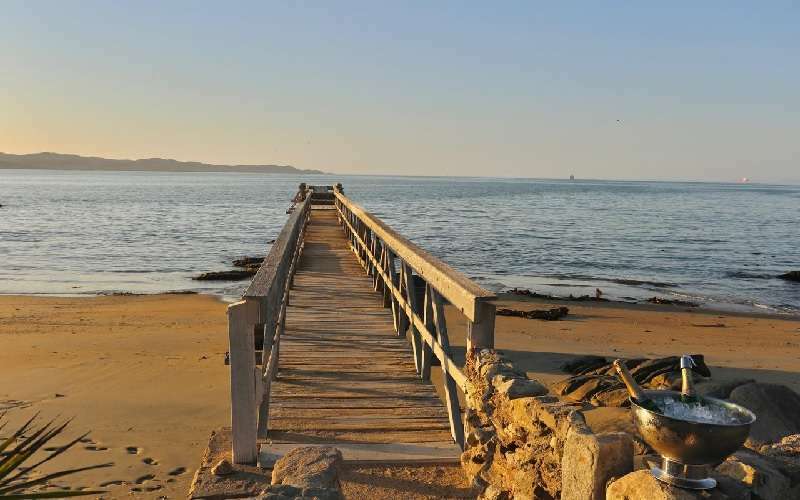 Area tours can be arranged to make guests and delegates stay even more pleasant – Kolmanskop Ghost Town, Lüderitz Peninsula and Town Tours, Catamaran dolphin and penguin tours to mention a few. For Groups and Private Charters, the large “Zeepaard” is available.